We all have been through that weather pattern - the eerie quiet, the gentle wind, the slow darkening of the sky. Just before that downpour hits, the wind howls and all hell breaks loose, it's peaceful. 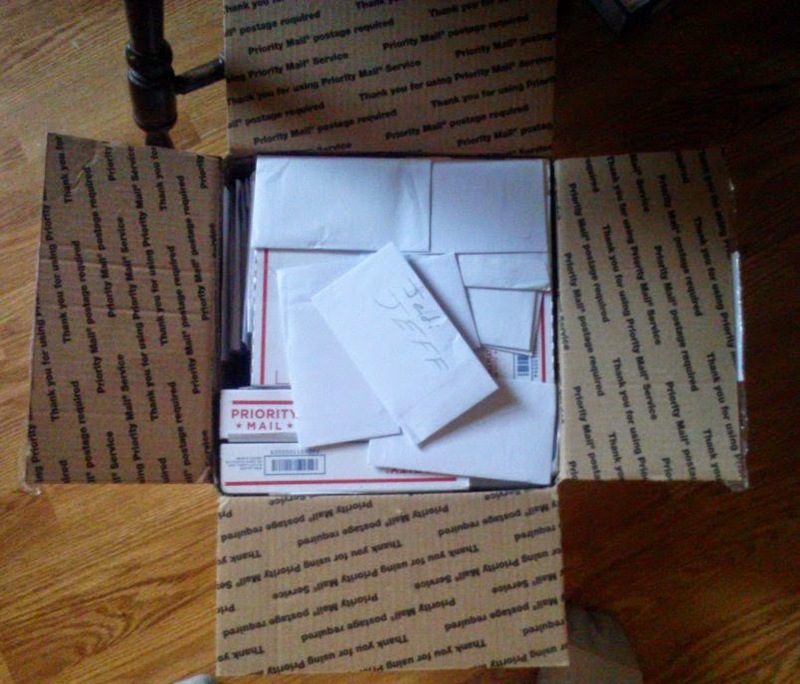 If you look close, there are dozens and dozens of envelopes and 8 of the UPSPS mini boxes. Also in there is a small 200 count box. That is Hurricane Wes about to strike my land locked city. Well, maybe Tornado Wes. Hey - why don't we name the big tornadoes? Sorry, I am getting off track. That box (and another envelope) will be the focus for the next.....oh let's say 14.2 years or so. Until then, let's see the calm front ahead of the heavy rain. 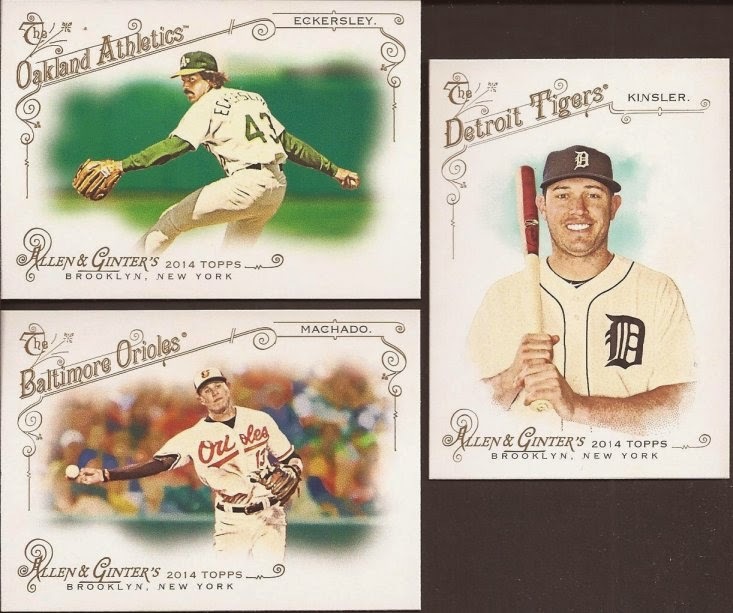 Like Allen and Ginter. Nothing that will knock you off your feet, of have you holding onto a lamp post so you don't blow away. A&G is innocent. The very cool Roger from Sportscard Mask-A-Rade helped out my 2014 need with a large drop of cards. I know people have talked of past years and the horizontal cards in A&G, but this year's design helps make them work, in my opinion. And not just base. This year has some nice insert sets. Anytime you feature a plane with the D-Day paint job on it, it's a good day. This may be my favorite insert set, though. Love old stadiums. 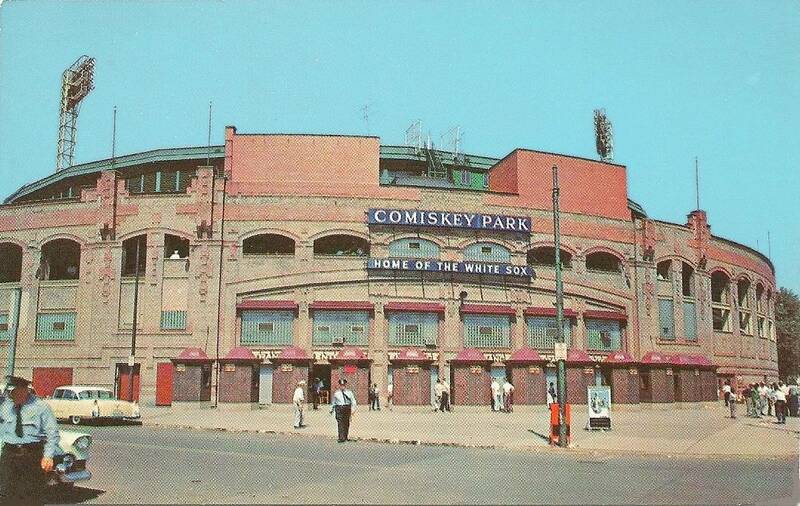 I hope the do a part two in 2015, because they forgot Comiskey. Appreciate the help, Roger. 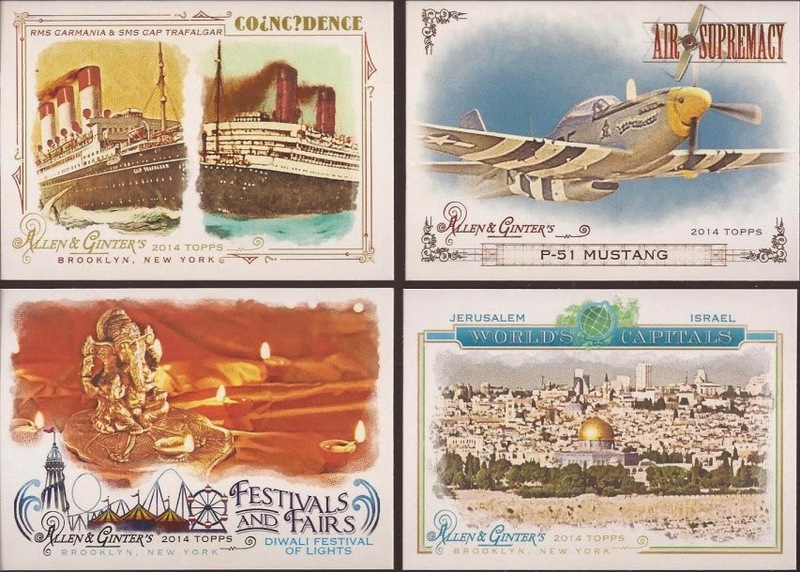 Considering what I will be showing from the box, you wouldn't think these are calming cards. They all fit into needs, though. Everyone's favorite Dutch (except Nigel's) Jeroen sent a nice envelope filled with Sox. Good ol' One Dog in the middle. And I think I am maybe one or two cards short for the '12 minis. Here's the higlight. Before the EPL hit NBCSports, before La Liga, Serie A, Liga MX and a few others, I used to catch the Dutch Football league (Eredivisie) on cable. I saw Ajax, PSV, Vitesse and many others each week. It was a great time to watch soccer, even though I think I was underemployed at the time. BTW Jeroen - I didn't know you were a keeper for Volendam. :) Thanks for the cards, bud. Alright. The clouds are really rolling in, and the temperature dropped a bunch in the past 20 minutes. Let me better head for cover before tomorrow starts, because a storm's a-coming. Glad to help out, Looking forward to your storm reports! Whoa. Looks like an awesome package. Wow... that's a lot of packages. Have fun! When I first glanced at the picture I didn't notice the flat rate boxes in there and thought it was the biggest box of PWEs ever. Oh man. Shitload of cards. Ridin the storm out. Back when REO was rockin.